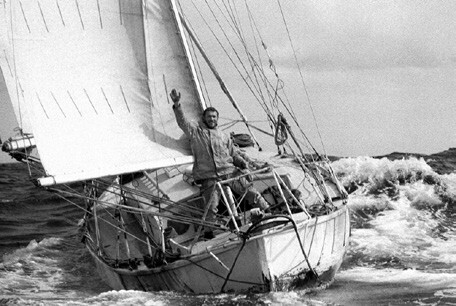 Joe, a relative fixture in Northeast solo sailing circles, had thrown a “Thank you” party prior to his departure on a solo non-stop lap of The Blue Marble. The declared intention: breaking the present record of some 137 days or so for such a voyage. NEW LISTING! Incredibly spacious 41-footer with a full-width aft master stateroom. Guest stateroom forward with attached head. Great cockpit with mainsheet arch which also houses lighting and stereo speakers. All sail controls are well positioned and easily reached. Available for viewing in our yard. Call to make an appointment to see this great family boat! New to the market, this great boat has less than 300 hours on its twin Yanmar 315. Come take a test drive!